Welcome to an exploration in traditional indigo dyeing with artist Rachel Denbow. In this workshop we’ll be exploring the binding, folding, twisting and compression methods of shibori, a richly cultural cloth dyeing method that originated in Japan in the 8th century. This resist-dyeing technique uses pressure to reveal a pattern within carefully dyed indigo fabric. 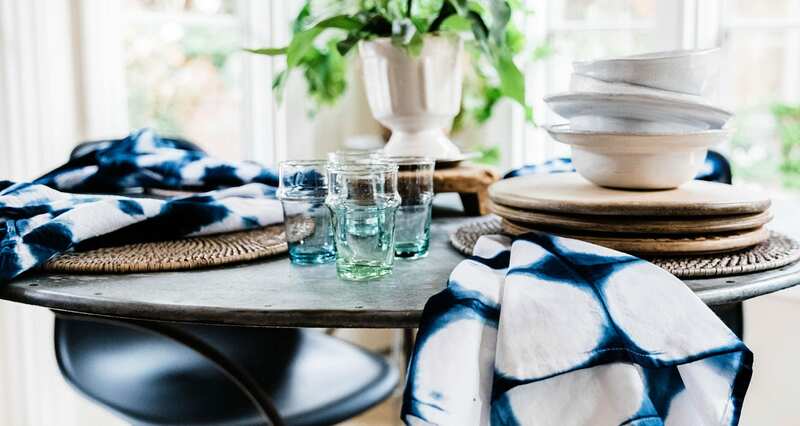 Every detail of shibori represents a thoughtful and intentional action made by an artist’s hands. And that resulting indigo dye color, its stunning!